This web page has links to many articles, fact sheets, and other materials arising from the 2016 Conference on Retroviruses and Opportunistic Infections (CROI) which was held on February 22 through 25 in Boston, Massachusetts. The materials have been grouped into topic areas to help you find and quickly access materials of particular interest to you. The topic areas appear in the order listed below. When more than one news outlet has covered a single research story, we have generally provided the full title and hyperlink for one summary, followed by hyperlinks to related coverage in other outlets. We hope that this approach will help you readily scan through highlights of CROI 2016, identify the news of interest to you, and explore topics in depth. About 4,000 people from 96 countries participated in the 23rd annual Conference on Retroviruses and Opportunistic Infections (CROI) in 2016. Many research topics related to HIV epidemiology, pathogenesis, prevention, screening, and treatment were covered, as well as news of hepatitis C, tuberculosis, and emerging infectious diseases, such as ebola. During the 4-day conference, there were a total of 6 plenary lectures, 18 themed discussions, 10 symposia, 119 original oral abstract presentations, and 834 poster presentations. The CROI website has archived hundreds of abstracts and webcasts of research presented at the conference. To find research reports on topics of particular interest, you can also use the CROI site’s search function. Webcasts with slides, video, streaming audio, and audio downloads for the 2016 CROI lectures are available on the Webcasts section of the CROI site. If you are interested in relatively short reviews of selected presentations, you can view or listen to the press conference webcasts described and linked to below, or browse through key abstracts. NEJM Journal Watch: Really Rapid Review – CROI 2016, Boston – A brief review of CROI highlights from Dr. Paul Sax, with links to the abstracts of the research studies highlighted. IFARA Health and Treatment Update – This site has posted a series of video interviews about some key topics discussed at CROI, including an antiretroviral treatment update, hepatitis C, and metabolic complications of HIV disease. NATAP: CROI Summary Report by Dr. Eric Daar, which includes references to the Conference abstracts for the highlighted research. HIV Treatment Bulletin: March 2016 issue includes extensive coverage of CROI highlights. Beta Blog: San Francisco HIV experts: What did you learn at CROI 2016? and New HIV treatments discussed at CROI 2016. Poz: CROI Roundup: All the HIV News That’s Fit to Print. The Lancet: NextGen HIV Prevention: New Possibilities and Questions – A brief review of HIV prevention research at CROI 2016. National Alliance of State and Territorial AIDS Directors: PrEP, HIV Treatment, and Social Determinants: Key Highlights from CROI 2016. AVAC – AVAC has published blog items, press releases, and other resources with news from CROI 2016. Half of Black gay men and a quarter of Latino gay men projected to be diagnosed within their lifetime (CDC); related coverage by AIDSmap, BETA Blog, Healio, MedPage Today, Poz, TheBody article 1 and article 2; abstract on CROI website. As many as 185,000 new HIV infections in the U.S. could be prevented by expanding testing, treatment, PrEP (CDC); related coverage by AIDSmap, Poz, Healio, and TheBody. Life expectancy increases in HIV patients; significant gap remains (Healio); related coverage by AIDSmap, MedPage Today, and Poz; abstract on CROI website. The evolving epidemiology of HIV infection in persons who inject drugs: Indiana 2015 (CROI abstract); related coverage by Healio, MedPage Today, and Poz. Botswana close to reaching the 90-90-90 testing and treatment targets (AIDSmap); Related coverage by MedPage Today and Science Speaks Blog; abstract on CROI website. Removing clinic barriers to rapid initiation of ART in Uganda enables 70% to start on the same day (AIDSmap) Abstract on CROI website. Transgender people are at high risk for HIV, but too little is known about prevention and treatment for this population (AIDSmap); related coverage from Healio. As many as 185,000 new HIV infections in the U.S. could be prevented by expanding testing, treatment, PrEP (CDC); related coverage by Poz, Healio, and TheBody. Almost-certain case of PrEP failure due to drug resistance reported at CROI conference. (AIDSmap); related coverage by BETA Blog and Poz, and TheBody. NIH-funded study finds effect of PrEP on bone density is reversible (National Institute of Allergy and Infectious Diseases); related coverage by AIDSmap, BETA Blog, Healio, and Poz. Truvada as PrEP against HIV leads to modest decline in kidney function (Poz); related coverage from AIDSmap, Beta Blog, and in CROI abstract 1 and abstract 2. Rapid rise in PrEP awareness in US gay men, but only 5% have used PrEP (AIDSmap); related coverage from Poz. CDC guidelines on STI testing for PrEP patients may miss cases (Healio); related coverage from AIDSmap, Poz, and CROI website. Maraviroc-containing regimens safe, tolerable when taken for HIV prevention (National Institute of Allergy and Infectious Diseases); related coverage by Poz and AIDSmap. Injectable long-acting cabotegravir shows promise as PrEP in early safety trial (Poz); related coverage by AIDSmap and abstract on CROI website. Vaginal ring provides partial protection from HIV in large multinational trial. (National Institute of Allergy and Infectious Diseases); related coverage by BETA Blog, Healio, Poz, Science Speaks Blog, and TheBody. Related Abstract 1 and Abstract 2 on CROI website. ‘On-demand’ rectal microbicide gel has reasonable tolerability and acceptability – daily less so. (AIDSmap); related coverage by Poz. People with HIV considerably overestimate their chance of infecting someone (AIDSmap); related coverage by Poz and Healio; abstract on CROI website. HIV-1 laboratory contagion during recombination procedures with defective constructs (CROI abstract); related coverage by Healio and MedPage Today. Option B+ cuts mother-to-child HIV transmission dramatically in Malawi (AIDSmap); related coverage by AIDSmap and Healio; and Science Speaks Blog; abstract from CROI website. Impact of Option B+ on ART uptake and retention in Swaziland: A stepped-wedge (CROI abstract); related coverage by Healio. Increased HIV viral suppression among U.S. adults receiving medical care, 2009 to 2013. (CROI abstract); related coverage by Healio and Poz. Missed opportunities for HIV testing during routine doctor visits, BRFSS, 2011-2013 (CDC); related coverage by Healio. Setting a benchmark for HIV testing at visits to U.S. physician offices by men aged 18-39 years (CDC); related coverage by Healio. Botswana close to reaching the 90-90-90 testing and treatment targets (AIDSmap); related coverage by Science Speaks Blog; abstract on CROI website. Option B+ has enabled Malawi to make significant progress towards 90-90-90. (AIDSmap); related coverage by AIDSmap. Missing but in action: Where are the men? [men in sub-Saharan Africa] (CROI abstract); related coverage by Science Speaks Blog. Rate of entry into HIV care improved by personalised counselling. Early antiretroviral therapy reduces the risk of infection-related cancers (AIDSmap); related coverage by Poz. Long-acting injectable cabotegravir + rilpivirine works well as HIV maintenance therapy. 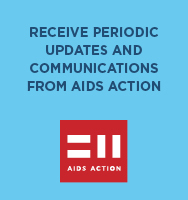 (AIDSmap); related coverage by Poz, Project Inform, and TheBody. Maternal use of Viread comparable to zidovudine regarding infant BMC (Healio) Abstract on CROI website. Co-trimoxazole fails to reduce mortality among HIV-exposed uninfected infants (Healio) Abstract on CROI website. Networks of HCV transmissions among persons who inject drugs: Indiana, 2015 (CROI abstract); related coverage by MedPage Today. Harvoni effective for patients with HIV, acute HCV (Healio); related coverage by AIDSmap and Poz. Empirical TB treatment comes up short again. (AIDSmap); related coverage by Healio; abstract on CROI website. Direct transmission seems to drive XDR TB (MedPage Today); related coverage by AIDSmap and Healio. Acceptability of large-scale household-based TB screening: HPTN 071 (PopART) (CROI abstract); related coverage by AIDSmap and Healio.